Graham started off in Joseph as Issachar, but took over as Joseph when Richard Swerrun took a break. 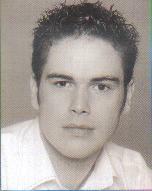 Tim took part in various musical theatre and pop projects and has written a full length musical plus various songs. He began his acting/signing career when he was asked to appear in a Belgian television series. Ryan trained at Moutnview Theatre School in London, where he played the roles of Lord Abe in 'Pacific Overtures' and Tobias in 'Sweeney Todd'. Hi subsequent UK theatre credits include national tours of 'Die Fledermaus', 'Iolanthe', 'The Pirates of Penzance' and 'The Mikado' with the Carl Rosa Opera Company. In South Africa his work includes an extensive tour of the hit compilation show 'The Doo Wah Boys 2', 'La Cage Aux Folles' in Johannesburg and the Gala Benefit Concert 'Sondheim on Sunday'. During 1999 he played the roles of Ovington and Tackaberry in the revival of Frank Loesser's musical 'How To Succeed In Business Without Really Trying' at the Landor Theatre in London. He then appeared his second season in The Convent Garden Festival production of 'Trial by Jury' which played to capacity audiences at Bow Street Magistrates Court, and recorded his first mini-CD 'New Old Friends'. He spent the summer season 1999 at The Landmark Theatre, Illfracombe appearing in 'Beauty and the Beast', 'Magic of the Musicals' and' Rock and Roll Experience'. 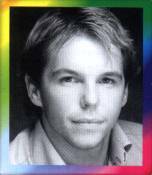 Also during 1999, together with a fellow actor, he formed a new production company Metaphor Productions and in November they presented a highly acclaimed production of 'The Fanntesticks' at The Pantameters Theatre, London, in which he also played the role of Matt. Shaun graduated from the Birmingham School of Tech and Drama in the summer of 1999. In the theatre Shaun has played Prince Charming in 'Cinderella' at Barnstaple and he also appeared in pantomime in Carlisle. He played Max Kirov in 'Ten Times Table' at the Mill at Sonning and Falk in 'Linnaeus' with Theatrum Botanicum. Television includes 'Peak Practice' and 'Heartburn Hotel' and the film 'Omega's Children'. Shaun has also appeared in several corporate and training films. Robert trained at the Birmingham School of Speech and Drama. His musical theatre credits include 'Go and Play Further' Solihull Arts Complex, '100th Birthday Celebrations' Birmingham Hippodrome, 'Balfour' Solihull Arts Complex, and the premiere of 'A League Apart' Solihull Arts Complex. Touring theatre credits include 'Treasure Island' national schools tour, 'Oliver Twist' touring Germany, 'Sticks and Stones' touring Geramny, 'We Love Garry' touring Germany. TV credits include playing the Eye in 'Fear the Phobia' for Carltoin TV. 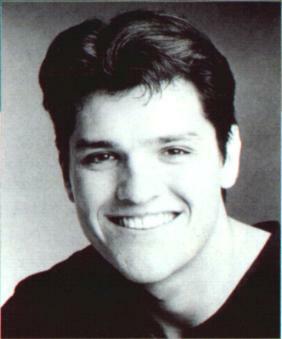 His voice was used in a voiceactivated computer software program and he was a singer in the 'Go and Play Further' cast recording for Peanut Productions, and he also composed the opening number for 'We Love Garry'. 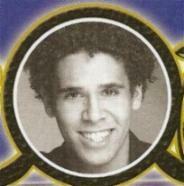 Robert has also starred in various pantos. Since leaving Joseph Robert has been in a couple of Birmingham Musicals, 'Go and Play Up Your Own End', 'Go and Play Further' and 'A League Apart. Also he has done a cast Recording For New Musical 'White Chapel.'. Simon also played Joseph for a few months over Christmas 2004. 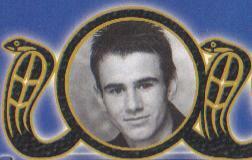 Rhys in the Welsh television series 'Amdani' (Go For It). He was also a member of Wales's first-ever boyband, and has supported acts such as Westlife, S Club 7, Five and Steps, as well as being a presenter on numerous programmes on SC4 Wales's premier television channel. His latest role was as Lord Chamberlain in 'Jack and the Beanstalk' with Joe Pasquale and Letitia Dean. This is Marc's first appearance in the West End and he is delighted to be part of the show. 'The Mystery of Edwin Drood'. Guy's recent theatre work includes Berger in 'Hair' (Bet-Zui, Ronnie Meier), Seymour in 'Little Shop of Horrors' (Thelma Yellin College - Israel, Arthur Kogen). 'West Side Story' (Cinerama, David Fisher) and Lead Vocalist in Beatles Tribute Band and for the Big Band Orchestra Concert (Thelma Yellin College - Israel, Eli Ben Akut). Kade is originally from St.Helens in Merseyside. 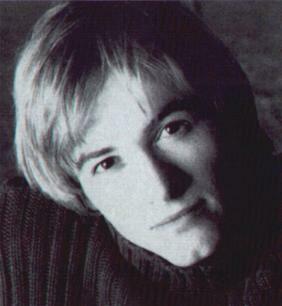 He started his dance career at the Rutherford Stage School in Liverpool aged seven. 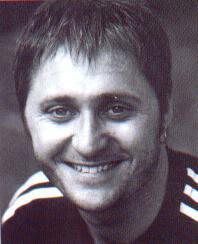 His first professional performance was in 1999 playing the part of Spider in the Cameron Mackintosh production of 'Oliver!' at the Manchester Opera House. 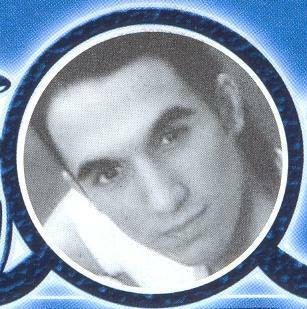 At the age of 11 Kade gained a place at Hammond School of Performing Arts in Chester where he trained for a further eight years gaining a national diploma in performing includes 'Swan Lake' at Liverpool Empire in 2002, 'Spirit of the Dance' 2006 European Tour and 'Spirit of Christmas' European tour. Kade is delighted to be playing the part of Issachar. He dedicates his performance to his Mum, sister and to the memory of his beloved Nana Josephine. Training: Originally from Portsmouth, Adam trained at the Guildford School of Acting Conservatoire (first class honours degree and Principal’s Award for Musical Theatre, 2005). He spent four years performing with the National Youth Music Theatre. Theatre includes: original revival cast, cover Peron in Evita (Adelphi), Gryphon in Alice in Wonderland (West Yorkshire Playhouse), Terry Conner in Side Show (UK premiere, Yvonne Arnaud), Judd Fry in Oklahoma! 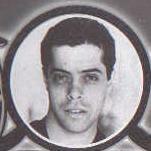 (tour, Peacock), Edward Moulton-Barrett in Robert and Elizabeth and Matthew Cuthbert in Anne of Green Gables (both Guildford Playhouse), Pellinore and cover Merlin in Pendragon (UK, Japan tours and London transfer) and Adam in Godspell (Actors’ Church). Concerts include: Let It Snow 2004 (YMT:UK), Rumours of Angels and Sea Stories (Portsmouth Guildhall). Television includes: Blue Peter. Recordings include: Evita (London revival original cast). 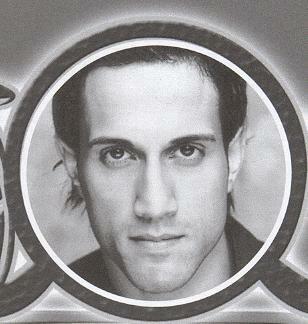 Jason is a Londoner who trained at the Italia Conti Academy. Whilst training he performed in 42nd Street at the Shaw Theatre and Heroes and Villains at the New Wimbledon as well as playing Benedick in Much Ado About Nothing. He has also appeared in Salmon Actually at the Lyric Hammersmith and The Royal Masonic Variety Show at London's Prince Edward Theatre. Since graduating Jason has been singing and entertaining as part of the Showteam in Majorca in Fiesta Fiesta and Legends of Las Vegas. Amersackie was born in London and spent his childhood travelling between the UK and Zimbabwe. He trained at Arts Educational Schools London, graduating in July this year. Roles whilst training include: De Vere and Gwyn in Loveplay, Macduffin Macbeth, the title role in Beowulf, and the Student in The Blue Room. Since graduating, Amersackie has filmed an Audi test commercial, a training film for the NHS, and a Drinkaware campaign. Joseph is Amersackie's professional debut. Daniel trained at the Liverpool Institute of Performing Arts. His credits whilst training include Richard in 'A New Brain', Toby in 'Coram Boy', Jellaby in 'Arcadia' Benvolio in 'Romeo and Juliet' Armpit in 'Holes', Man 2 in 'Songs for a New World', Kavact in 'Enemies' Will in 'Will and Grace' (television) and Nick in 'Bedroom Farce' (radio). 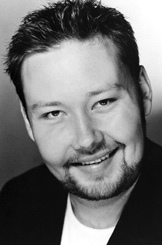 Other credits include Horse in 'The Full Monty' at the Beck Theatre and Tyrone in 'Fame' at the Leatherhead Theatre.